How often do you look at the ingredients of your beauty products? It’s not a common practice. Most people are unaware of the chemical names of toxins that linger in popular beauty products. If you’re fairly good at looking at ingredients in the foods you eat, it’s time to become more aware of what you put on your body. That’s where Linda Stephenson comes in. Stephenson is the CEO and the brains behind Mereadesso skincare products, a luxury brand of plant-based products that are targeted to cover a range of skin issues in a one-step approach. It only took a few minutes of chatting with Stephenson to know she’s a ‘chemically aware’ beauty guru who cares about the health of her skin — and my skin as well. While enrolled at the University of Toronto, Stephenson studied Chemistry and Biology with a minor in Botany. After landing successful positions at Mary-Kay cosmetics and MAC in the mid-90’s, Stephenson moved on to a purely technical position at Estee Lauder. Stephenson left her corporate roles to work privately with clients and to study brand acquisition, focusing on how beauty products are positioned in the industry. Stephenson was always on the go and working tirelessly to market well-known beauty products with a reinvented look. When Stephenson started her family and have birth to her son, she barely had time to think. She was used to being the person that was good at branding and helping people, but it became time to do it for herself. Stephenson loves to travel, and got used to compressing all of her beauty products to fit into her tiny travel bag. As a busy mom. she noticed all her friends had similar lifestyles — working moms, travellers or even guys who are minimalists. That’s why around eight years ago, Stephenson made use of her educational background ,as well as her corporate directory of contacts, to launch Mereadesso, her own skincare line. With this idea in mind, Stephenson set out to nourish the skin by using natural and real ingredients to calm, heal, and soften the skin by supplying the skin with vitamins, antioxidants, enzymes, botanical extracts and minerals that our bodies can extract. Unlike many water-based beauty products, Mereadesso is over 30 per cent aloe based with infused minerals and vitamins. One of the things Stephenson wants customers who shop in the beauty industry to be aware of is the ingredient list of products. Look for paraben-free products with real ingredients that are easy to understand. For instance, if you want more Vitamin A, the chemical name is beta-carotene or retinyl palmitate, so look for that listing in your ingredients lineup. The highest percentages will be listed first eg: water and the lowest ingredient of percentage will be listed last eg: fragrance. “Look for the selling point, not the label claim. Take awareness to your own skin, look for what you need and what you can manage.” said Stephenson. One of Mereadesso’s best selling products is the original one-step and all in one moisturizer. This moisturizer is aloe based and is a combination of a day cream, night cream, serum, primer and moisturizer. It is also a product designed for all skin types. As Stephenson said, most clients would come to her saying they have sensitive skin, but what does that mean ? Stephenson says to look for the commonality in the products you use that can cause redness and rash and most often this is linked to fragrance. Mereadesso products are fragrance-free in addition to being free of sulfates or artificial colours. Over all, there are about seven different product categories that users can enjoy with Mereadesso, including another best seller — the face and neck cleanser. This cleanser was designed to come with a gentle exfoliating cloth for easy cleansing. ” People need to exfoliate. Cell renewal rate slows down as we age and by removing the dead layer of skin cells, this prompts our skin to renew.” Stephenson said. Stephenson pays a lot of attention to packaging. For instance, the travel kit comes with a reusable pouch. This kit was actually one of the selling points for landing Stephenson’s products in luxury retailer, Nordstrom. Most products don’t have a secondary purpose, but Stephenson plans to utilize her packaging. In fact, Stephenson let me in on another skincare secret — avoid buying anything in a jar. The blanket rule is that the preservative system in a jar is there to kill mould and bacteria from forming on your moisturizer, but after being exposed to air and the constant dipping of your hands, the preservative system has to be more aggressive, which is no use to your skin. Mereadesso uses pressurized products in metered dose pumps to protect the product and keep out bacteria. As Mereadesso continues to grow, Stephenson keeps her team small, but mighty, as her products are mostly available to order online in the United States; although it is also being featured on The Shopping Channel and is available at Nordstorm. If you are wondering about the name Mereadesso, it was simple. ‘Mere’ means mother in French and ‘adesso’ means ‘now’ in Italian. When Stephenson became a mother, this was when her life changed and she decided to put all her beauty steps into well-rounded and unisex products for minimalists. Because of this, and more, this name will always be close to her heart. The secret to healthy and youthful skin can seem like a mystery . There are countless beauty products and companies that claim to know the secret. While our skin can benefit from extra hydration, moisture, and certain mineral boosts that beauty products offer, there are a few things you can do as a base that will help you achieve your best natural glow. Follow these five tips for healthy and beautiful skin, no matter your age. Starting this off simple, you should know your skin is an organ. In fact, it it the largest organ of the human body. It protects us from microbes, it regulates internal temperature, and permits various sensations. When you get in the habit of wearing heavy makeup daily, you are suffocating your face! Essentially, the key is to let your skin breathe. By all means wear your make-up ( especially if you are a makeup addict like me ), but keep it minimal and save the extra glow highlighter for special occasions. UV rays and sun damage are your enemies! While it feels good to have the warm sunshine caress our faces, it is also essential to have some sort of barrier or protection. Having a good moisturizer, or even a bb cream with included SPF can do wonders. Try looking for a moisturizer with a broad spectrum SPF of 30 or higher. Go get that facial ! We all know a little bit of self-care and love goes a long way. With our day to day lives, we can experience lack of sleep, stress, imbalanced hormones, and pollution. All of these thing (and more) have a negative impact on our skin. It is recommended that you get a deep cleansing/moisturizing facial done by a professional about once a month. While our budgets may not allow this luxury, you can also take matters into your own hands by doing an exfoliating treatment at least once a week, or trying out a ready to use sheet-mask to target your problem areas. Remember to keep your skin type in mind so you don’t harm yourself. At the end of a long day, the best thing you can do is wash off your makeup and baby your skin. Once you get into this habit, it will become a routine for you, It is essential you find products that are wholesome and alcohol-free to take care of your face. Water is my best-friend ( not actually ). I always have a large bottle of water by my side to ensure that I am hydrated during the day. Water is the ultimate hydrator to your skin and can instantly make your skin looked refreshed, starting from the inside out. Our bodies are already about 55 per cent water, so when we re-hydrate what we lose, we are maintaining the balance. Water flushes the toxins out of your body and can also be used to help symptoms of acne. Are you thirsty for better skin ? Comment below and let us know what your skincare routine is like! A good workout can make you sweat, releasing toxins within the body. But, it can also have an effect on your skin. 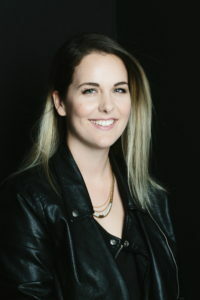 According to Tayler Rogers, co-owner of Beauty Mark, a trendy beauty boutique in Vancouver, following a proper skin health regime is critical for any athlete, especially if you are out in the sun. In a Q&A with Women’s Post, Rogers offers her skin care tips for runners on the go. Q: Which skincare and make up products are best for a person who leads an active lifestyle? A: I like to find multi-use products for people who are active and on the go for two reasons: one, you’ll get things done quicker and two, you’ll be more likely to actually use the products. For skincare some basics: SPF with moisturizer, a good face and body wash, and for makeup [use] waterproof mascara and tinted moisturizer. I am a runner, what steps should I take to maintain healthy skin on a regular basis? What is the biggest skincare concern for women while working out and afterwards? Breakouts would be the big one. If you create excess sebum while working out and don’t cleanse properly you will get breakouts. This isn’t just on your face, body break outs are very common too. It can be really difficult because different skin types that suffer from breakouts might not need a stronger ingredient to clean out the skin than others. Investing in a good quality wash and toner will help out big time with this. And always moisturize! What are some quick makeup tips or ways to look fabulous after a workout? Tinted moisturizer, mascara, brow liner, and a lip/cheek tint! If the runner has problem skin like blemishes, what would you recommend? Having a non-irritating breakout treatment is a great option. We have one from Tata Harper that you can wear underneath makeup or overnight. It’s non-drying (with) a lot of healing properties, as well as a break out treatment. Tell us about BeautyMark and how your makeup/skin care products are different? BeautyMark has been established since 2001 and we were one of the first small boutique skincare/makeup spots in Vancouver (note: it’s available online), so we’ve built up a really loyal clientele. We differ with our customer service in that we love working one on one with our customers, asking questions about what they are looking for. We love to provide an inviting atmosphere and (we know) it can be super intimidating to walk into a store with so many products! We source brands that follow our stores ethos. The store is cruelty free, there are no products that are tested on animals. We try to support local, Canadian made brands as well. All natural is a big thing too, clean ingredients that work are super important to us!